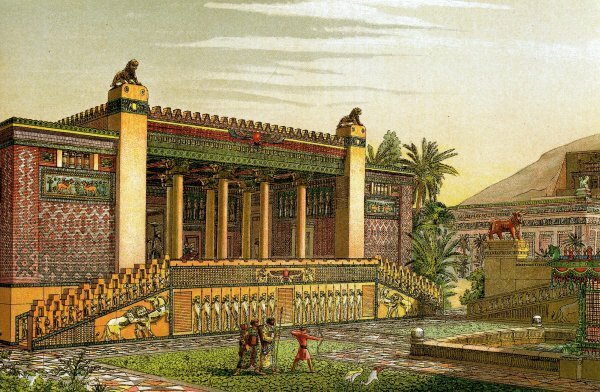 During the early 400’s B.C.E., the Persian Empire twice tried to conquer ancient Greece. An alliance of city-states fought back, led by Athens and Sparta, and against seemingly impossible odds, the little cities defeated the greatest empire the world had ever known. Westerners have long credited the Greeks’ victory with saving Western Civilization. Persian rule, they say, would have cut off the flowering of Greek culture and the development of democracy during the following century, particularly in Athens. The movies 300 and 300: Rise of an Empire bang that drum particularly hard, casting the Greeks as masculine freedom-fighters saving Europe’s future from a corrupt, effeminate Asiatic slave regime. Obviously, you can’t take the movies too seriously, but how about the widespread view behind them? Imagining Persian rule in Greece calls for a guessing-game. But we’ve got lots of pieces to move around the board, so let’s play. To start off, we’ve got to recognize that the Persians relied on local self-rule far more than the Romans or any other ancient empire. And they encouraged local religious and artistic traditions. (The Old Testament calls the Persians’ King Cyrus a “messiah” because he let the Jews return from exile in Babylon and rebuild their temple.) So it’s not likely the Persians would’ve governed the Greek city-states directly or crushed their culture. From there, we turn to four likely advantages of Persian rule, for Greece and for Western Civilization. The Persians probably would’ve spread democracy in Greece. The Persians didn’t conquer mainland Greece, but they did rule the Greek city-states of Ionia, in what’s now western Turkey. Following an unsuccessful revolt during the 490’s, the Persians recognized the Greeks’ dislike of tyrants and abolished the Ionian cities’ dictatorship systems, replacing them with democracies. So the Persians probably would’ve encouraged democracy in mainland Greece — not just in Athens but in the peninsula’s less democratic city-states too. With more Greek city-states as models, democracy might have taken root faster in Western Civilization. Any harm done to Sparta would’ve been a blow struck for freedom, not against it. Sparta was a slave society, and during the centuries after the Persian Wars, the Spartan citizens became some of history’s most brutal masters. Ancient sources say the Spartan citizens regularly humiliated, attacked, and even murdered their serf/slaves, the helots, keeping them submissive through terror. Every year, Sparta declared war on its own helot population, authorizing young citizens to kill them. The helots were far more numerous than the citizens, so many historians think the Spartans dedicated themselves to war because they lived in constant fear of slave revolt. (Other historians think tales of helot oppression are exaggerated.) 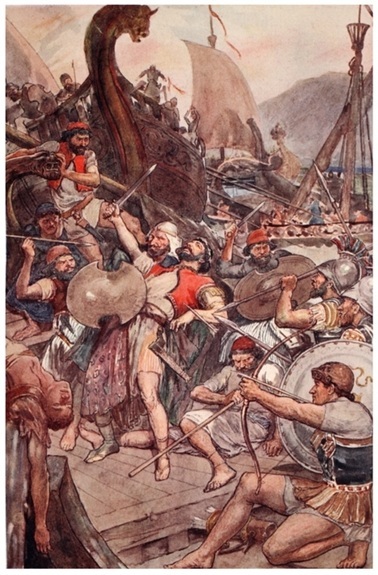 Spartan oppression reached its highest pitch during the centuries after the Persian Wars, as the helot population grew. Persian rule probably would’ve interrupted Sparta’s descent into state-sponsored terrorism. The empire would’ve provided an information super-highway for Greek ideas. The Persians ran an “empire of information.” They built a system or roads, travelers’ inns, couriers, and shared languages and writing systems touching three continents and spanning more than 2.5 million square miles. Greek culture benefited greatly from that network after Alexander the Great seized control of the empire in 330 B.C.E., launching the culturally rich Hellenistic Age. Persian conquest during the early 400’s would have started the process earlier. Persian rule would’ve saved Athens and the other Greeks from the destructive Peloponnesian War. Between 431 and 404 B.C.E, Athens and Sparta fought a devastating war, each leading an alliance of Greek city-states. Athens lost the Peloponnesian War, along with large numbers of its citizens, much of its wealth, and its political leadership. What if Athens had been spared the war? The flowering of Athenian culture and democracy might have reached heights we can’t now imagine. Other cities might have flourished far more too, since the war drained Greece’s resources and even weakened the victorious Spartans. A Persian overlord would’ve made the Peloponnesian War impossible. Great post! I am using it to teach historiography to my seventh graders. Thanks!